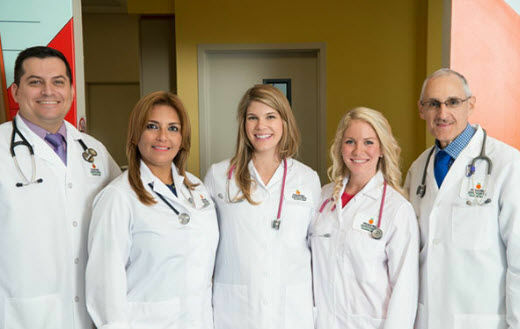 At Pediatric Associates we put an emphasis on the health and well-being of our employees and their families. From our full suite of benefits, our wellness programs, Pediatric Associates University and great culture, you will have the opportunity to live well and grow your career. What is "Wellness"? It is a lifestyle. A way of living that encourages good physical and mental health. It is a balanced lifestyle that includes an emphasis on the body, mind and spirit. The Wellness Program was created to encourage all employees to live healthier lifestyles and create a culture of health throughout the entire company. The Wellness Program focuses on promoting awareness and education, motivation for positive behavior changes, and influencing practices and policy to support a healthy environment. Since starting the Wellness Program 4 years ago, our healthcare cost has decreased from 38% to below 10%! At Pediatric Associates it is vital that our employees have the opportunity to enhance their knowledge base and skills to be successful at Pediatric Associates. Our aim is to step outside of the "traditional training box" and provide our employees with a captivating training department that will provide a "spark" to the learning experience. We make training personable and we have an enthusiastic team to lead our training classes. We guarantee there won't be a dull moment! In an effort to better the lives of our employees and our patients, we created Pediatric Associates University, which will encourage all employees to increase their skills and knowledge by using online training. The university will provide online Human Resources Competency Training Programs with the highest-quality educational courses. Through PAU, all employees can read subject materials, engage in courses, watch videos, and take an online test - all resulting in a certificate that can be printed out. This is not only a great way for employees to become further educated by taking courses they need to grow their careers, but also a way for employees to learn more about subjects that interest them. In addition to the online courses that are available, we provide one-on-one training sessions, team-building workshops, management training, interpersonal and skills improvement workshops. Employees can even earn PTO credit for completing specific courses!